3 Home Search Tips to Help You Find Your Perfect Home | Joe Hayden Real Estate Team - Your Real Estate Experts! These days, most everyone uses the Internet to search for a home. With a wide variety of resources available to search for a home online, how can you ensure that you are best using these tools to find your perfect home? Here are 3 quick tips for setting up your home search online to help you find your new home. Modern internet home search systems found online come in a variety of styles and each can have unique functions to help you find the right home for your needs. The search systems all are capable of accessing a database of information about individual homes and neighborhoods, while allowing you to specify in detail your search parameters. 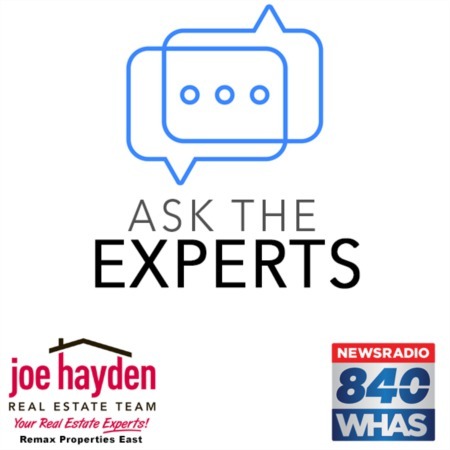 For example, you can set the number of bedrooms and bathrooms, the price range, the neighborhood or area for your search, whether or not there is a basement and the general size of the home. Most search systems can drill down to even greater detail, depending on your needs in a home, including whether or not there is a pool or a fenced rear yard. Let’s get right into the 3 quick tips to help you use the internet to find your perfect home! Tip #1 - Before starting your search online, take a moment to write down and prioritize your needs and wants in a home. Your needs are going to be the things that you cannot live without, such as the number of bedrooms or a specific price range, and your wants are going to be things that you would like, but don’t have to have, such as a pool or a 1st floor master bedroom. Once you have written down your needs and wants, you can use that guide to help you stay on track when searching, plus you can use it to help you fill in the online search forms with the right information. Once you start looking at long lists of homes, it is easy to drift away from what you need most in a home and by writing down and prioritizing your needs and wants you can focus in on the homes that will best fit your lifestyle. Tip #2 - In the beginning of your search for a home, keep the search as broad as you possibly can. Keep in mind that the search tools you find online are only as effective as the databases they have to search for a home. Many times, homes will not necessarily be listed in the database correctly or there may be features left out of the database for individual homes that can cause you to easily miss finding the right home for your needs. For example, lets say you want to find a 3 bedroom, 2 bath home with a fenced backyard. Your perfect home with a fenced backyard may be available on the market, but if the property is incorrectly listed without a fence you will not see it in the search results if your search criteria includes a fence. If you had just searched for 3 bedroom, 2 bath homes, you would have seen that home in the results. I suggest starting very broad with your search and selecting only the general area, price range and minimum number of bedrooms and bathrooms. This will help ensure you see the maximum number of possible homes and it will reduce the possibility of missing a home due to an error in the database. As your search progresses, you can begin to narrow the results by selecting additional parameters, but start broad first. Tip #3 - Use automatic saved searches to your advantage. These days, the best homes found in a good location in good condition tend to sell rather quickly. You can reasonably assume as a buyer that if you find a home that you really love, another buyer could very will have found that same home and will compete with you to make a purchase. Therefore, it becomes critical that you find your suitable home first and get the first shot at negotiating for the home. Your real estate agent should be helping you with this, but it is best to have as many ways as possible to find your perfect home quickly when it first appears on the market. Most search platforms let you create an account and set up automatic saved searches that will email you lists of homes that meet your search criteria. Use these systems to stay on top of what is available on the market and to educate yourself about market trends. You can also set up multiple saved searches to categorize homes and to help you narrow down what is really available on the market. For example, you can setup a search that is very broad as we described in tip #2 and use that as your main search. Then, you can setup a search based upon a specific neighborhood or subdivision that interests you, or focused more on your wants, such as a pool or a fenced backyard, that can help you filter down the broad results. By doing this, you decrease your chances of missing a good home by letting the broad search catch everything and the more detailed searches quickly alerting you to homes that closely match exactly your needs and wants. This will help you find the best homes first and then act immediately to see them and decide if they are worth an offer. I hope that you have found these 3 tips for setting up your home search useful and beneficial. You can visit our home buyers page to learn more tips about how to search for and buy a home. Contact us at anytime and we can give you additional help on the best ways to set up your searches to find your perfect home!